We will share all necessary details regarding developers background, project location, features, layout plans and payment schedules of all types of properties on offer in Gohar Green City Karachi. Note: We are sharing all the available information propagated by the marketers and sponsors, but we recommend consulting with local agents and relevant civic development authorities to check the actual status of project. KN Gohar Green City is a joint venture of Gohar Group of Companies and Medicam Group of Companies. The former group is an emerging developer company that boasts of having delivered various commercial and residential projects in various parts of Karachi under the umbrella of Gohar Group. The latter group “Medicam” is also a well known name in the business industry of Karachi. It has gained fair reputation in the consumer market of Pakistan through its quality products over the past many years. 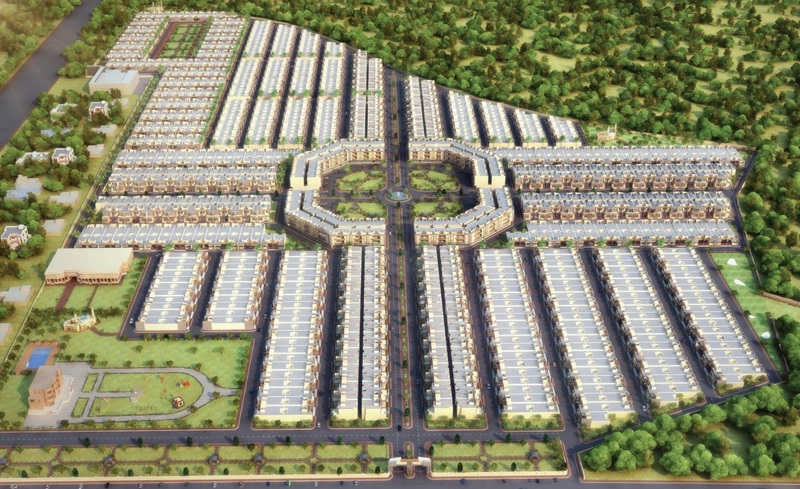 Gohar Green City is meant to provide affordable turnkey housing solution to the lower middle class of Karachi. Whether you need an affordable accommodation of your own, or you want to open your retail outlet with least investment, the society has affordable and easy plans for all of your needs. It is a semblance of deftly carved out modern town planning, which caters to all the basic needs of life within its boundaries. It is not just an ordinary living facility, rather it is whole package of modern luxuries of life at a very affordable cost. 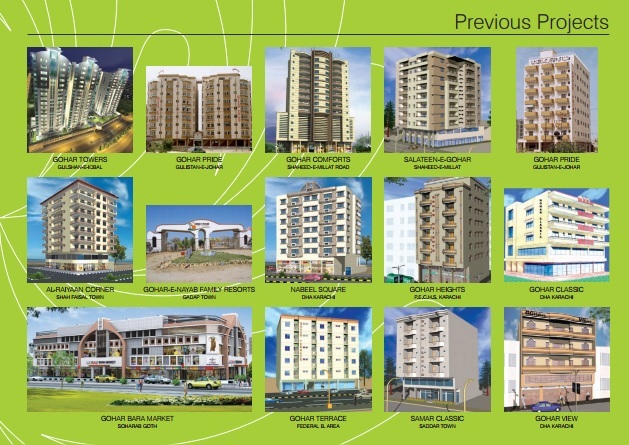 We will share the planned amenities and facilities at KN Gohar Green City in features section. 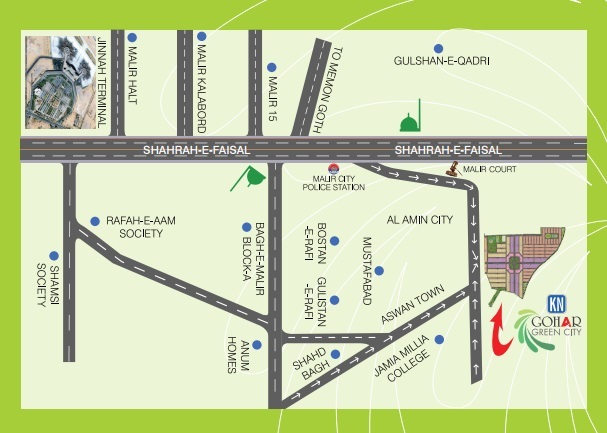 KN Gohar Green City is ideally situated on Shahrah-e-Faisal, behind Malir Courts. It is close to Jinnah Airport, and has easy approach to all parts of the city through this major artery. Location is the most appealing factor of this project, and it draws attention of genuine home buyers who don’t find affordability and quality living together in the central parts of Karachi. Gohar Green City is planned by expert town planners of Gohar Group, who have incorporated all the salient features of modern housing development practices. 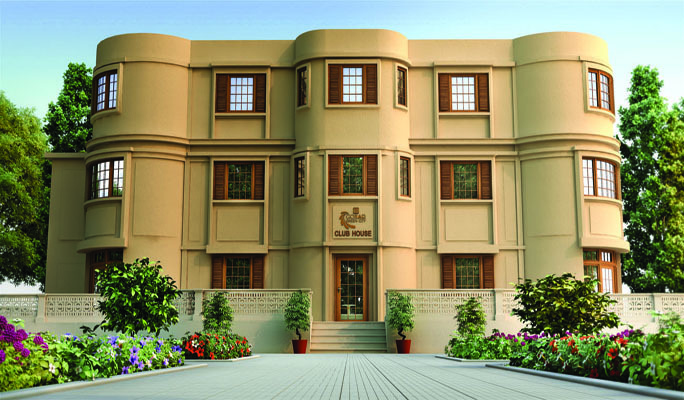 Apart from the basic utilities, you are going to enjoy the exhilarating experience of community living at the Club House. The Club House is the place where you can refresh yourself alone or have get-together with family and friends. It offers a range of western features with eastern flavor, so as to make you feel home. Gohar Green City takes you away from the day-to-day issues of living in Karachi, especially noise and pollution, and lets you enjoy a luxurious living experience in a secure environment. Gohar Green City is carefully designed by expert planners with spacious and wide streets and roads interconnecting the whole society. Ample spaces are left out for greenery and parks which add beauty to the whole master plan. The location and layout of Bungalows and apartments are clearly visible on the master plan. 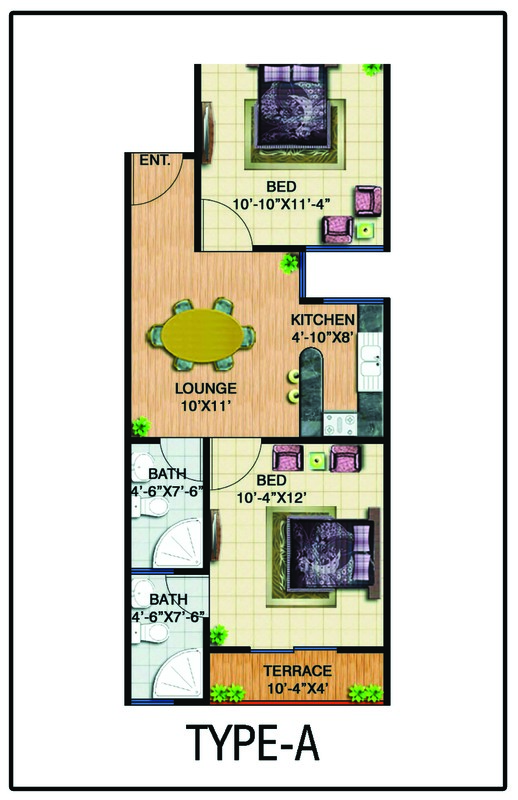 As you can see on the master plan, large spaces are reserved for amenities and club house. Wide connecting roads loop through the society joining all streets. 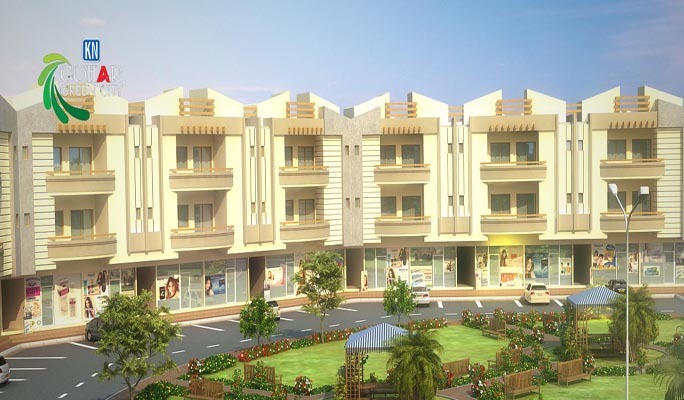 Apartments are built on wide roads with retail shops on the ground floors. 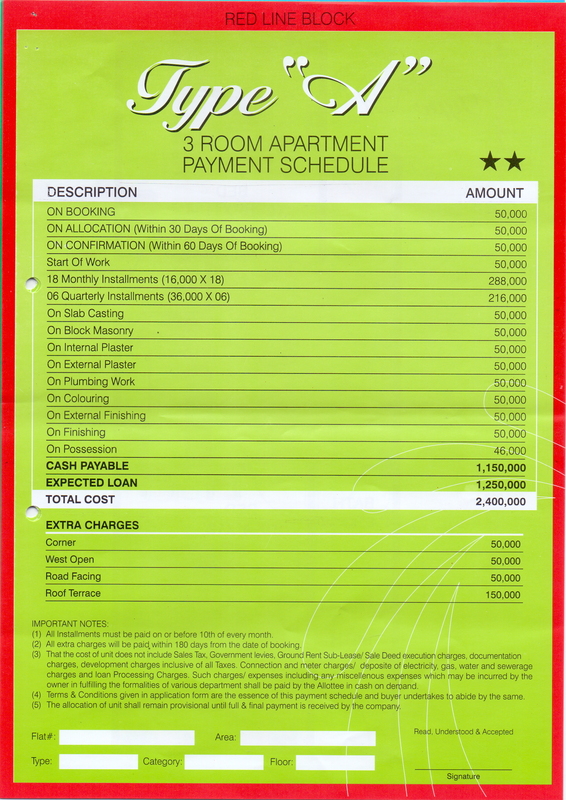 Gohar Green City offers three types of bungalows, and 4 types of apartments on easy installments. 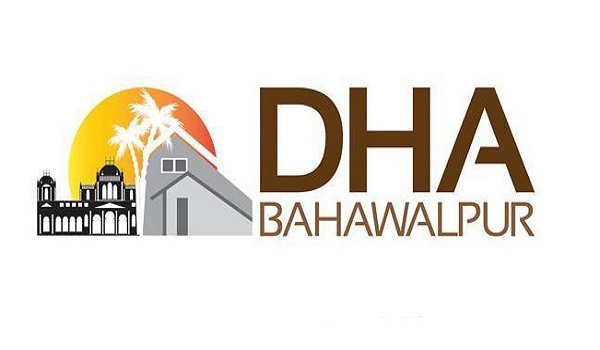 Since the project is meant for lower middle class of Karachi, it offers 80 sq.yards and 120 sq.yards single storey bungalows and 120 sq.yards double storey single unit bungalows. 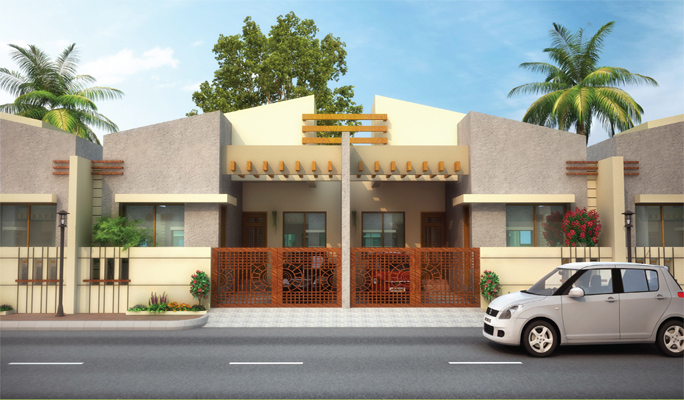 Silver category bungalows are single storey houses built on 80 sq.yards plots. 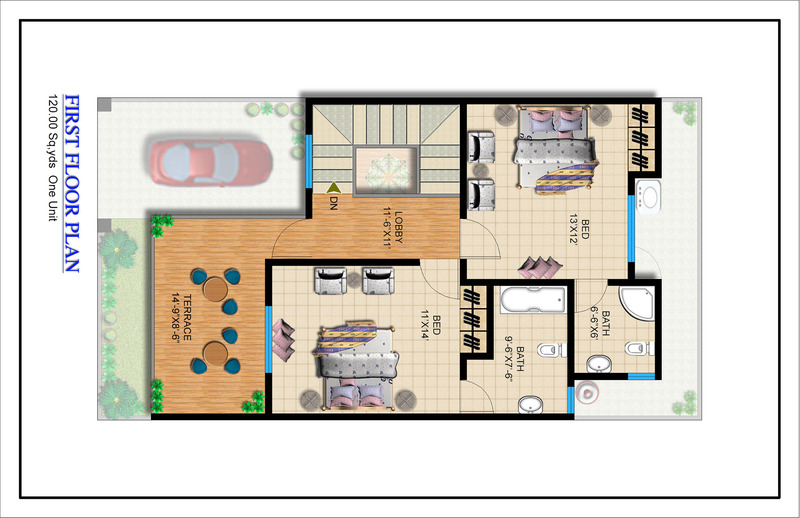 Silver bungalows are suitable for a small family, as it has 2 bedrooms with attached bathrooms, lounge, kitchen and a car parking. 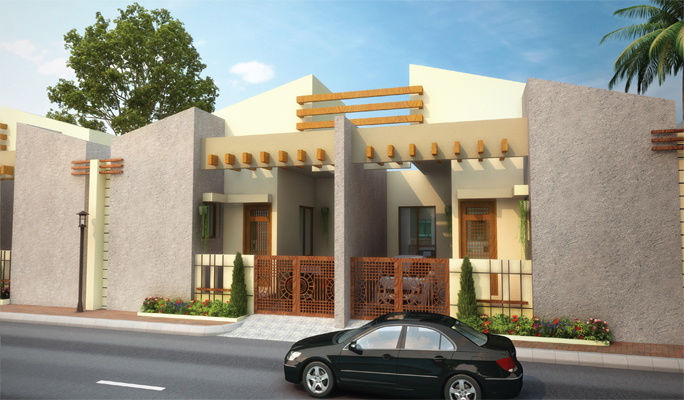 Gold category bungalows are single storey homes built on 120 sq.yards plots. These units are beautifully designed to accommodate a normal size family. 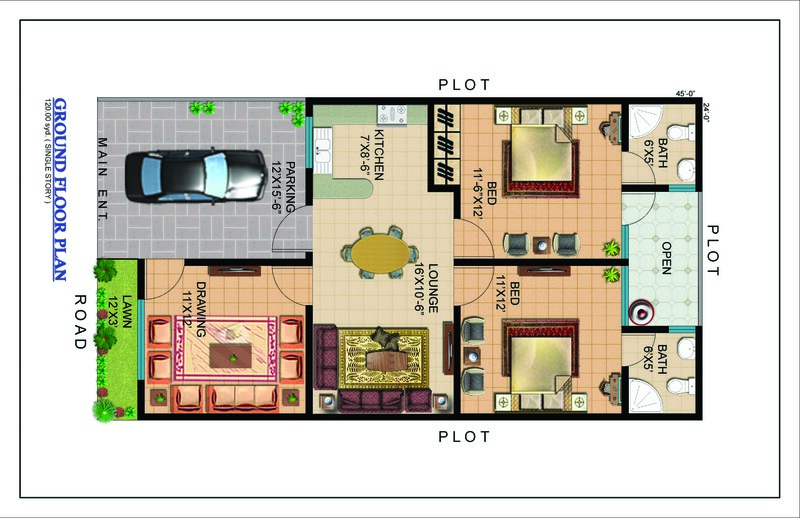 Each unit has car parking, 2 bedrooms with attached bathrooms, drawing room, lawn, lounge and a kitchen. 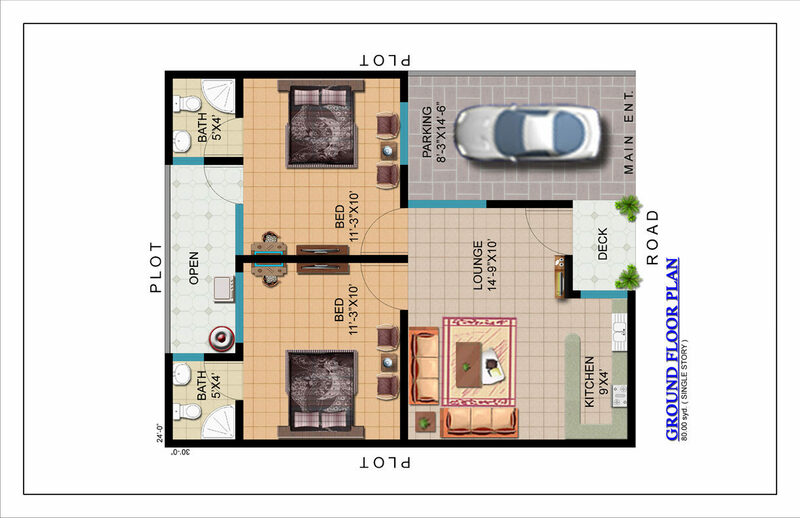 Bungalows in platinum category are built on 120 sq.yards plots. 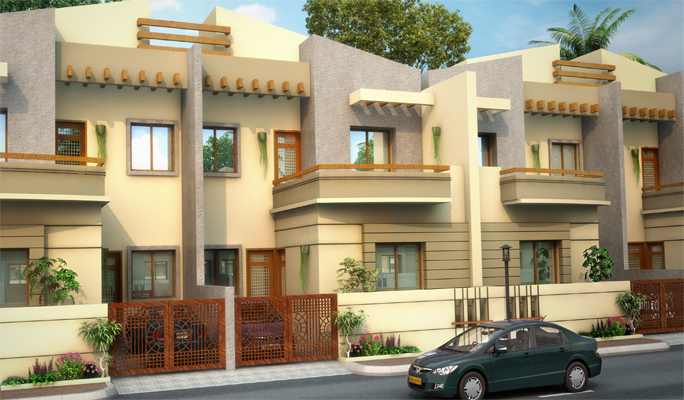 These are single unit double storey houses, which are suitable for a big family. 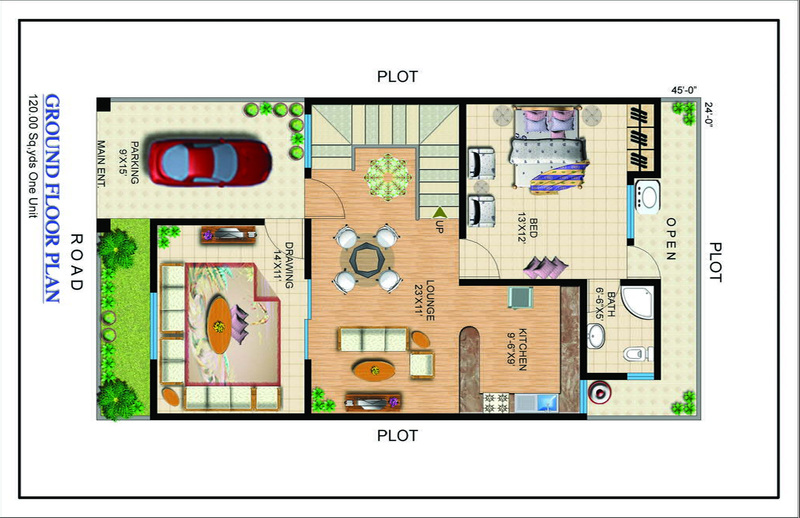 Platinum bungalows have one bedroom, with lounge, kitchen and drawing room on ground floor, and 2 bedrooms with terrace on first floor. 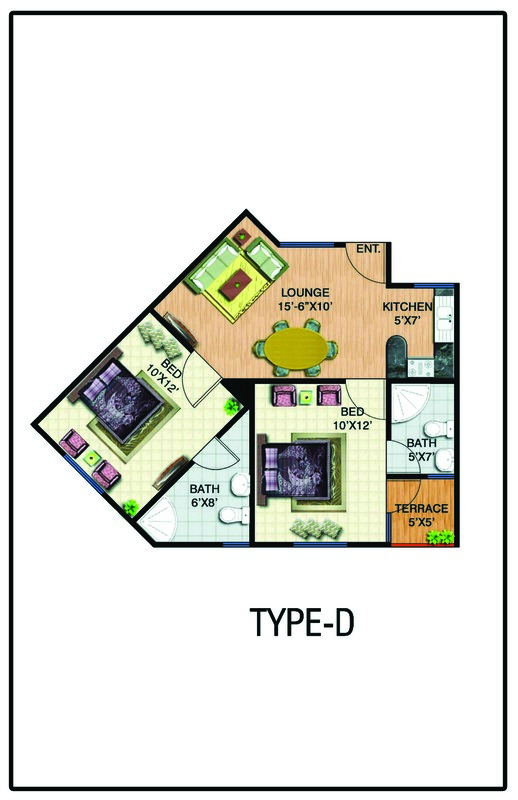 Similarly, the society offers one bed, 2 bed and 3 bed luxury apartments with different layout plans. The apartments are low rise with ground + 2 levels, where ground floor has retail shops. 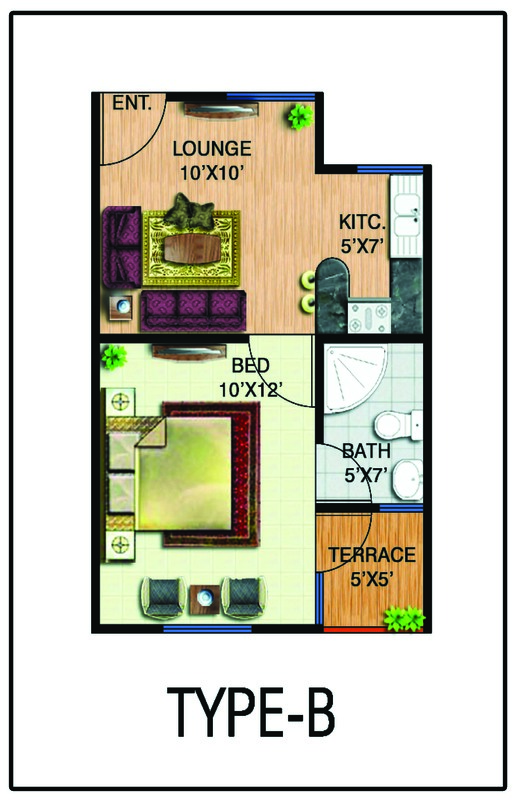 Each apartment comes with attached bathrooms, lounge, kitchen and terrace. 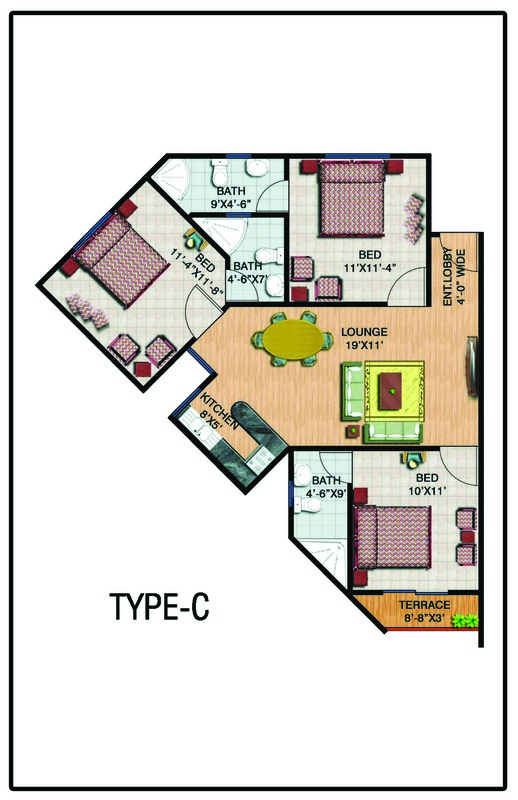 Covered areas are not mentioned on the layout maps, however you can check the size of bedrooms and living room etc. 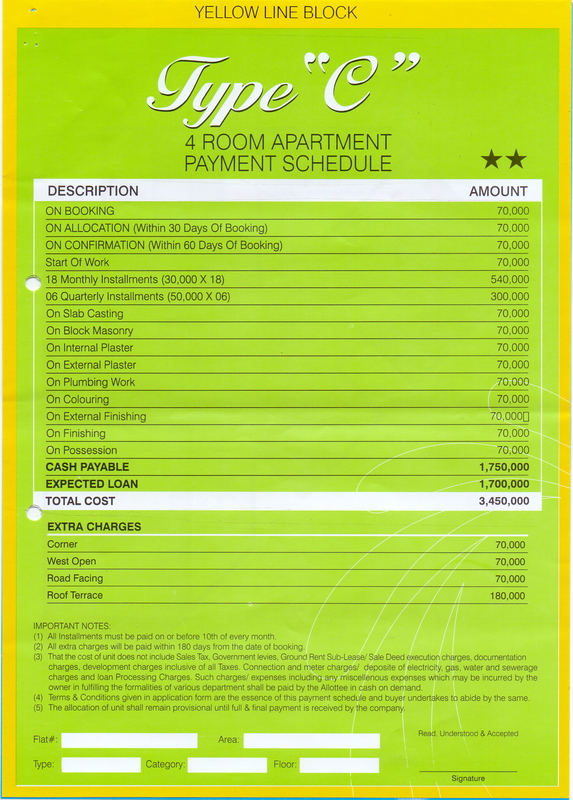 Gohar Green City offers a flexible payment plan with bank loan option. 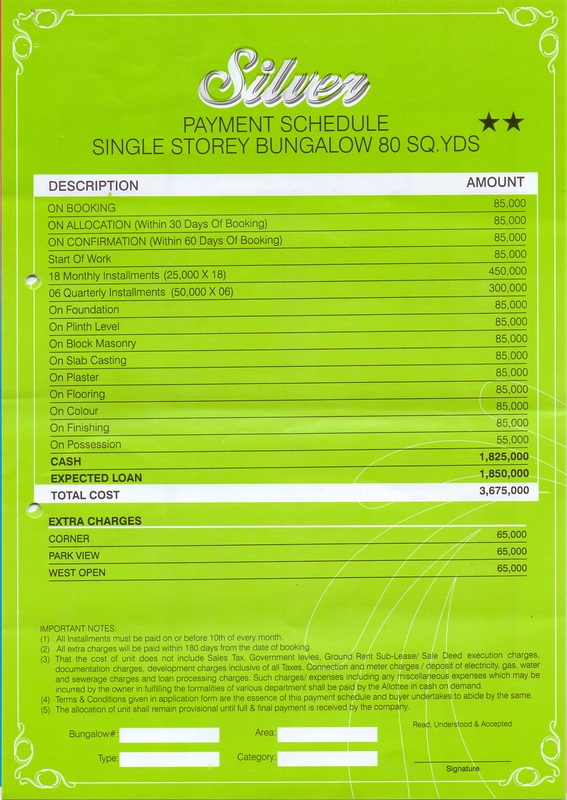 Prices are very reasonable, and the amount is payable through installments over a period of 1.5 years. 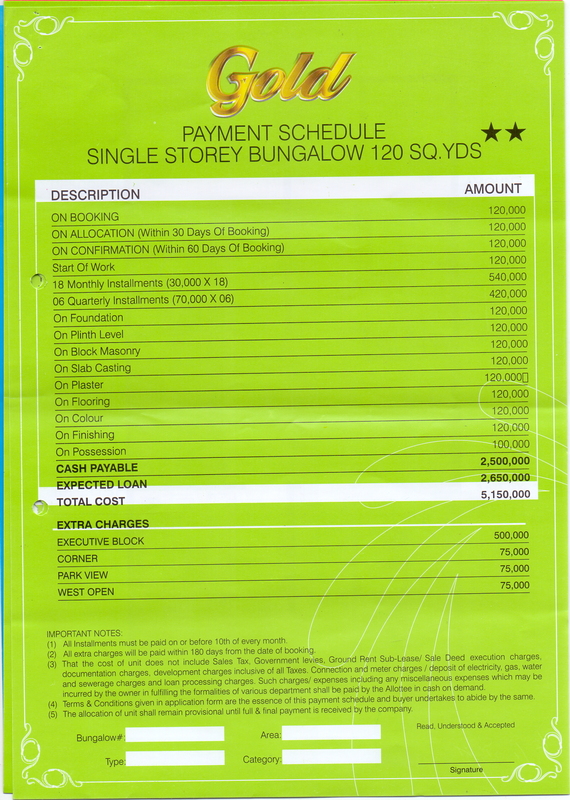 Almost half of the price is payable to builder through installments, while remaining half will involve bank loan. The payment schedule includes monthly and quarterly installments, as well as progress-wise payments which are payable at each construction phase. 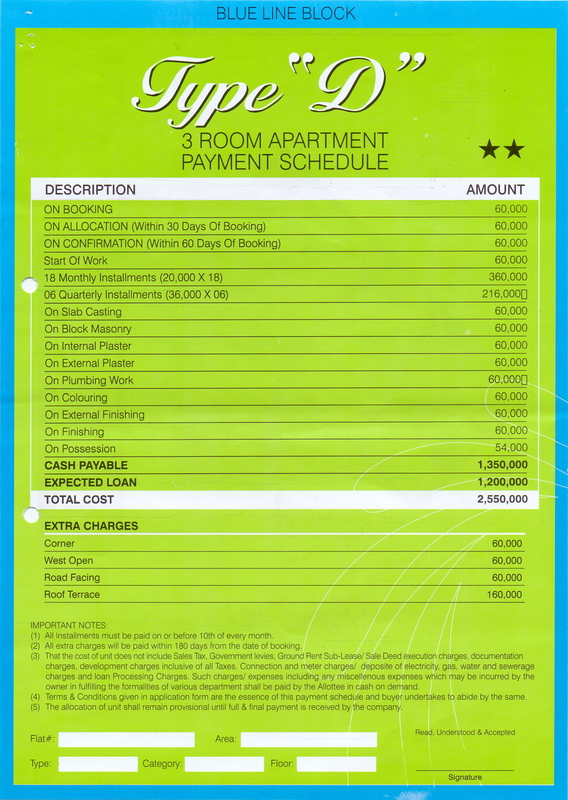 Please note that the builder might have increased the unit prices, so you can check with the sales office if they still offer the same payment plan. It is quite a simple procedure to book your bungalow or apartment in gohar green city. 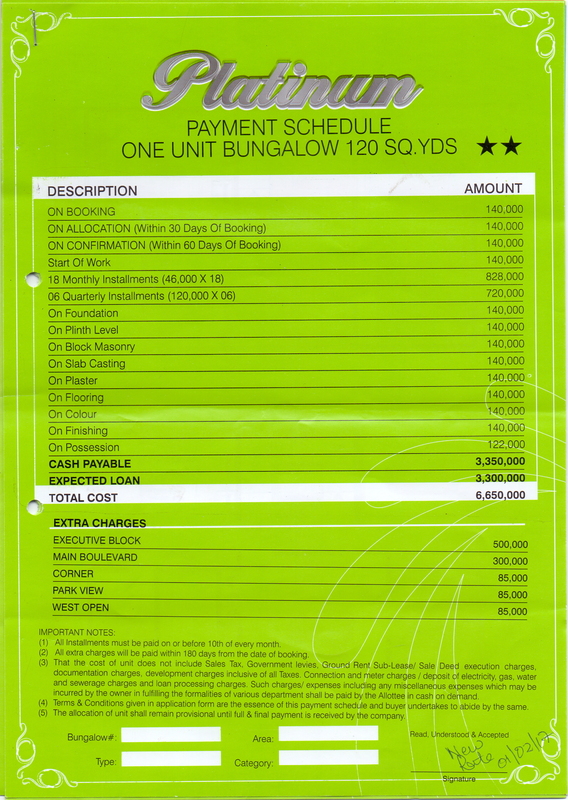 Bookings start from just 5% down payment, while 5% confirmation and 5% allocation charge will follow immediately. Remaining amount is payable as per the schedule given above. 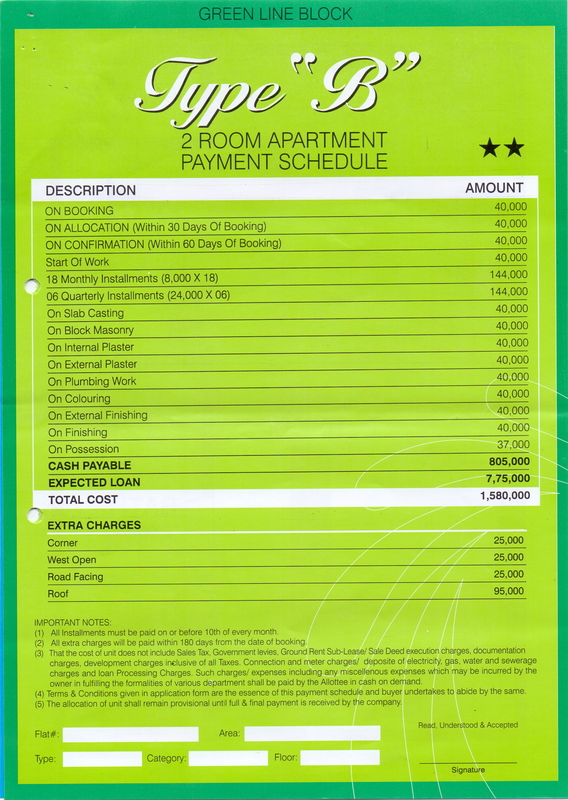 You can submit the form with cnic copies and down payment to book your unit from the available options. After we have gone through the details developer background, project location, features and prices, it is quite evident that Gohar Green City is undoubtedly an attractive housing development. Besides residential purpose, it is also a good investment opportunity for quick return. It may also render handsome rental income after possessions, so you can invest here as a good venue for regular monthly income. Should you require more information on the project, or you have any queries regarding sale or purchase of property, you can leave us an email at marketing@manahilestate.com.